Manufacturer of a wide range of products which include semi automatic paper cup making machine, double coated paper cup making machine, disposable plastic cup making machine and fully automatic paper cup making machine. 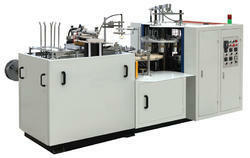 Production Capacity (cups per hour) 60 Pcs Per Minute. 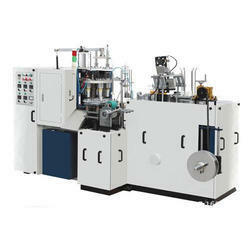 We are the manufacturers of Double Coated Paper Cup Making Machine. 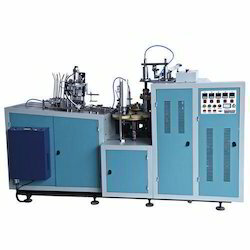 With an aim to lead our business in allied domain, we have been affianced in providing a quality assured range of Plastic Cup Making Machine. Our offered glass is precisely manufactured by utilizing supreme quality plastic and Disposable Plastic Cup Making Machine.